Automated external defibrillators, also known as AEDs, are vital pieces of equipment in certain emergencies. In fact, an AED has the ability to resuscitate a person suffering from cardiac arrest. This, paired with CPR can help save a person’s life. Although AEDs are typically in ambulances for use by emergency personnel, it is good to know that they are also in many public places such as malls, office buildings, airports, sports arenas, and schools. However, with the majority of cardiac arrests occurring in private residences, the option to carry an AED in your home is one worth considering. Today we will briefly cover what an AED is and, more importantly, what to consider when deciding whether you need an AED in your home in case of an emergency. When someone is experiencing an irregular heartbeat that is dangerously fast or chaotic, chances are they are suffering from cardiac arrest. And when a heartbeat is irregular or chaotic, the heart loses its ability to pump blood and oxygen throughout the body properly. This leads to internal organ damage that can prove fatal. This is why restoring the heart’s normal rhythm is so crucial for preventing permanent organ damage and death. Using an AED in the case of cardiac arrest is one of the best ways to restore an irregular heartbeat. They easily connect to the patient and automatically detect whether a jolt of electricity will help restore the heart’s rhythm. In addition, if you have yet to take your Baltimore AED and CPR certification training, the great news is that AEDs require very little medical and technical training to use in a crisis. Is an AED Right For Your Home? AEDs are valuable for those suffering cardiac arrest. And, while they will not help someone experiencing a heart attack, and do not always replace the expertise paramedics bring to an emergency, the truth is they can make a huge difference. Even without formal AED training, utilizing an AED during an emergency can mean life or death for someone enduring an irregular heart rhythm. Having an AED in your home can give you the peace of mind that should anyone go into cardiac arrest, you will be prepared to help until emergency services arrive. Here are some of the most important things to consider when deciding whether to purchase an AED for your home. For those who are at risk for cardiac arrest, having an AED on-hand at home can be priceless. However, if your heart condition is severe, your Baltimore physician may have an alternative option, such as an implantable cardioverter-defibrillator (ICD). for you. Just keep in mind that it is important to discuss such serious medical conditions with your local Baltimore physician. If any of these conditions apply to you, your family, or those that frequent your home, having an AED purchased from Baltimore’s leading AED provider, Chesapeake AED Services, is something that you should consider. Factors like age, gender, family medical history, heart disease, and genetics all play a critical role in whether you are at risk for cardiac arrest. And, while you may have conditions that place you at risk for cardiac arrest, if you live alone an AED will do very little for you in the case of an emergency. This is because you will likely become non-responsive during a cardiac arrest. When this is the case, someone else must use the AED on you to restore your heart’s normal rhythm. That being said, if you are at risk for experiencing a cardiac arrest and live alone, you may still consider having an AED on-hand. 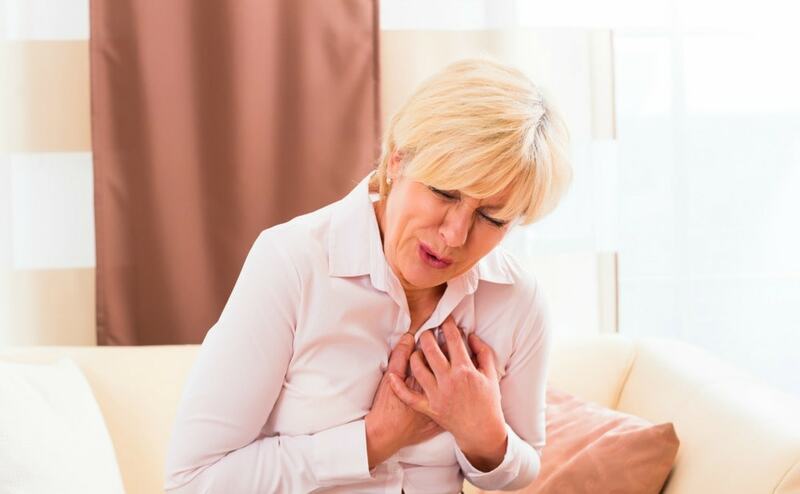 Anyone that is ill enough to suffer sudden cardiac arrest should have someone close by, such as a neighbor, who can quickly assist you in the case of an emergency. This will heighten your chance of survival should something happen to you that requires AED or CPR performance until the paramedics arrive. 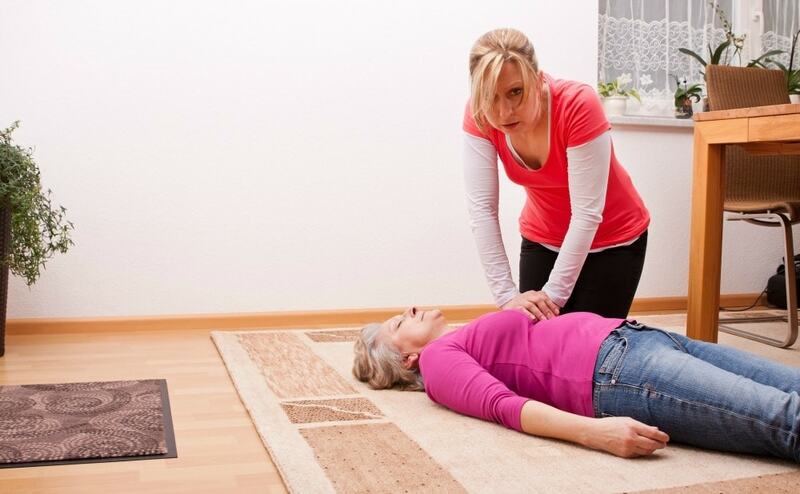 If you enlist a nearby caretaker to help you in an emergency, it is also a good idea to encourage them to take Chesapeake AED Service’s AED and CPR training courses. This will build their confidence and skill set if they ever face an emergency such as cardiac arrest. Despite the benefits lifesaving devices such as AEDs provide the public, cost is usually a factor when it comes to purchasing such an important piece of equipment. If you are interested in purchasing an AED for your Maryland home, consider purchasing one from Chesapeake AED Services. As an authorized distributor of AEDs, Chesapeake AED Services provides trusted and reliable equipment at a competitive price. All accessories associated with your AED are available for purchase. Leasing options are available for those who cannot afford an AED purchase but want one in their home. Knowledgeable staff is on hand to answer all AED, CPR, and First Aid questions. Maintenance programs for your particular AED are available. Multiple AED and CPR training courses to meet your needs are accessible online, in person, or even at your place of business. Buying an AED for your home may seem excessive to those unaware of the benefits that an AED can provide someone suffering from cardiac arrest. However, the truth is it can save someone you love in an emergency and prevent further internal damage from occurring while awaiting emergency services to arrive. If you do decide to purchase an AED for your home from Chesapeake AED Services, consider enrolling in the AED and CPR training courses they have available. Even though AEDs require little-to-no technical training, CPR is often an integral part of saving someone’s life during a cardiac arrest. Additionally, identifying the signs of an emergency, symptoms of a cardiac arrest, and times to utilize an AED is helpful in any emergency. Chesapeake AED Services has AED and CPR training that will help you recognize the signs of an emergency. Being taught by experienced emergency personnel, and with the very equipment you can purchase directly from them, you will leave feeling confident that your home AED is ready to go and can be efficiently used in the case of a cardiac arrest emergency.